My favorite hot drinks are Cocoa and Tea in that order. I get my tea drinking from my English heritage. My grandfather on my paternal side is from Coventry England. I love to drink tea and have always wanted a Tea Bell for loose leaf tea. Loose Leaf really does taste better then the bagged tea. Not sure why but it just does at least to me. This tea bell is my new favorite cup of tea companion. Now to find out more about different kinds of loose tea so I can broaden my flavors. 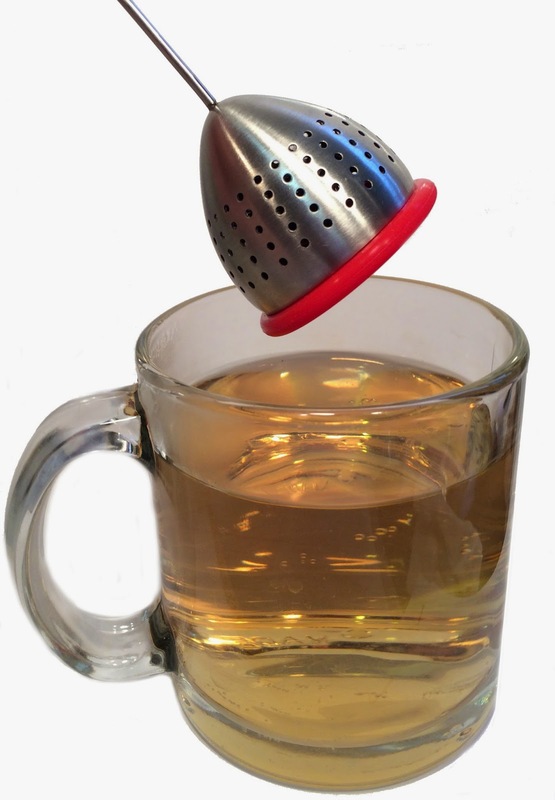 The TeaVas Tea Bell is easy to use and super easy to clean. I love the silicon cover because it doesn't bang inside my cup making a racket early in the morning while I am trying to enjoy my cup of tea. You can purchase the TeaVas Tea Bell on Amazon. What Tea Vas has to say about their product. The TeaVas Tea Bell tea steeper has been specifically designed for those who appreciate the joy of escaping with a perfectly infused cup of their favorite loose leaf tea. If you have come to appreciate that fine tea is as much about the process of preparation as it is the enjoyment of the warm glass in you hands and the rich flavor on your pallet, you have found a tea infuser you simply won’t be able to live without. 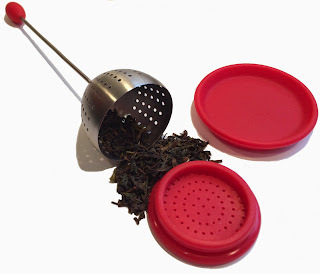 This Tea Bell is made of durable stainless steel and food grade silicone and is both easy to use and clean (tap used leaves out and wash by hand or place in the dishwasher). This product fits fits any size cup and will not float. Note that this tea infuser is ideal for medium to coarse grained teas but is NOT for fine grained teas. The TeaVas Tea Bell... Escape with the perfect cup of tea.